7 Ways Exercise Brings Balance to Your Life! This post is sponsored by AZO and SheKnows Media. As a busy mom of two toddlers, my alone time is critical for my sanity. However, staying active is also critical for my health. Since I don’t have a ton of extra time, I like to merge my me time with my exercise because exercise brings balance to your life in many, many ways. Although sometimes I have to workout with my kids, I prefer to workout alone so I can have some time away, which is also critical for balance. When I workout alone, I listen to my favorite music, a good podcast or watch Netflix. I also take a long shower afterwards. Using your exercise time as me time really makes you look forward to the gym or cardio machine! Since I workout and sweat a lot, I like to make sure I’m also protecting and maintaining my vaginal health because exercise can lead to overgrowth of yeast. Also, women who exercise often are at a higher risk for vaginal infections and discomfort. It’s something that doesn’t get talked about nearly enough! The thing is, I don’t want that to get in the way of my workout routine and me time. 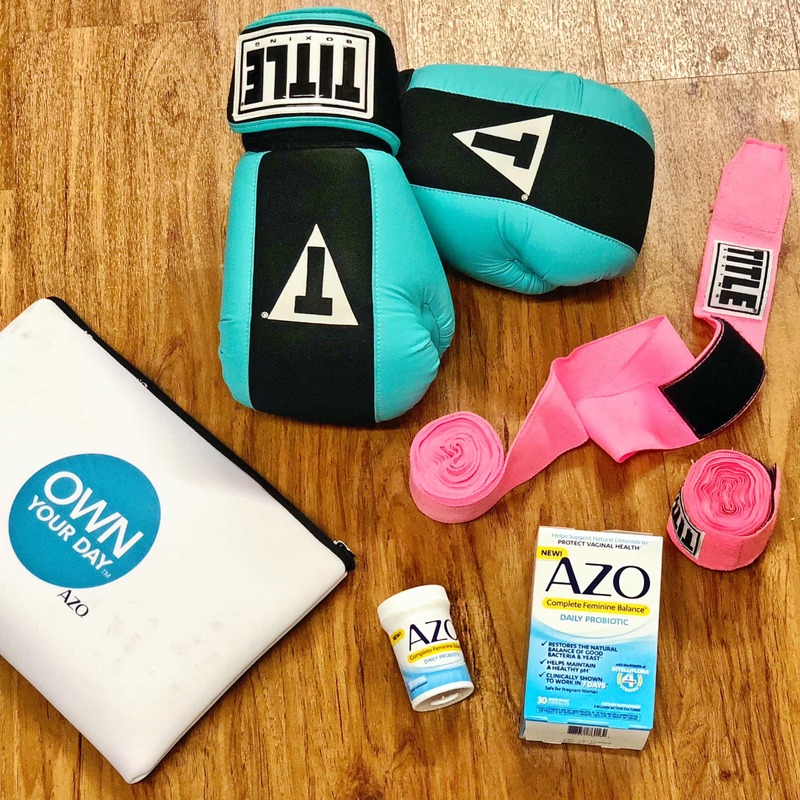 So what I do is take AZO Complete Feminine BalanceTM Daily Probiotic for women to help restore and maintain the balance of good bacteria and yeast in that area. It also supports a natural defense to maintain feminine health. 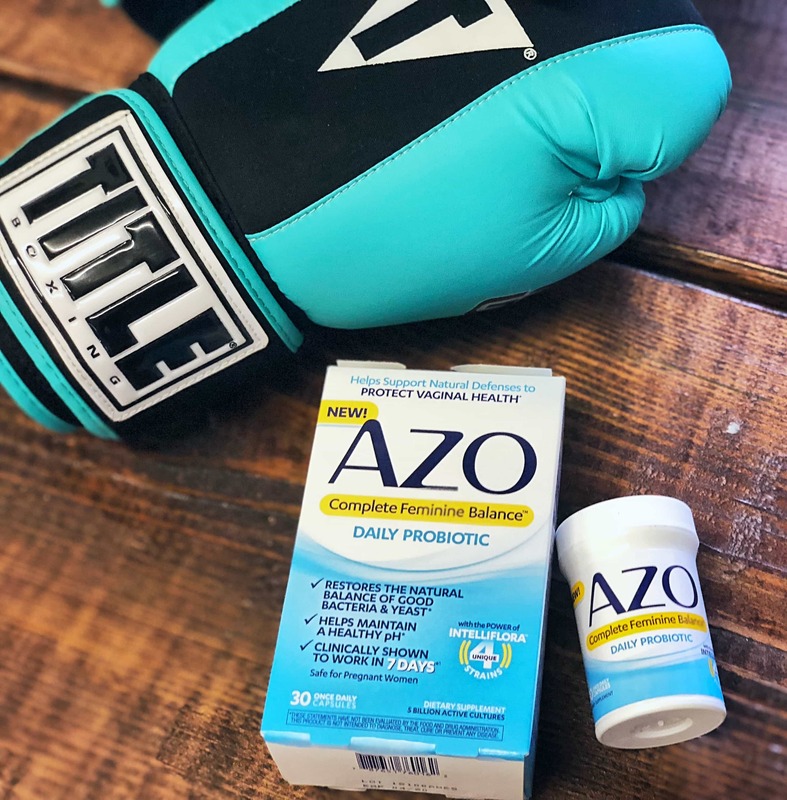 The best part is that AZO Complete Feminine BalanceTM Daily Probiotic for women is clinically shown to work in 7 days and is made from a clinically studied blend of 4 unique probiotic strains found in healthy women. I highly recommend adding it to your daily routine for help with ongoing vaginal health support and maintaining a healthy pH. P.S: It’s safe and beneficial for all women including pregnant women. But, of course, always discuss with your doctor first. For more information on this topic, you can check out AZO’s Facebook, Instagram or Twitter page. Having time to yourself is important to help you unwind and de-stress. It reminds you that you are not JUST a mom and gives you time to think about yourself and your own goals and dreams. The consistency of a routine works just as well for us as it does for our little ones. Knowing what to expect and when to expect it helps you feel at ease because you know stuff is going to get done. It is especially liberating when you know that your routine is going to help you achieve your goals. Regular exercise, especially weight training and high-intensity cardio, can naturally balance your hormone levels. Exercise has a direct impact on insulin, estrogen, testosterone, ghrelin, leptin and growth hormone. Sticking to your routine can help keep your hormones balanced. Exercise gives you more energy to make it through the day through an increase in endorphin levels. Exercise increases serotonin and dopamine levels in the brain, which helps relieve depression and boosts your mood. The more you stick to your routine, the more you will get to experience these mood boosts. Better sleep quality: People sleep significantly better and feel more alert during the day if they get at least 150 minutes of exercise a week, a study from NHANES concludes. Mentally, we feel more energized and ready to tackle the world after a good workout because endorphins have boosted our physical energy level. As you can see, regular exercise brings balance to your life in many ways. How many other things can help you balance so many different aspects of your life? ==> Don’t forget to keep your vaginal health in check when you have a consistent exercise routine!